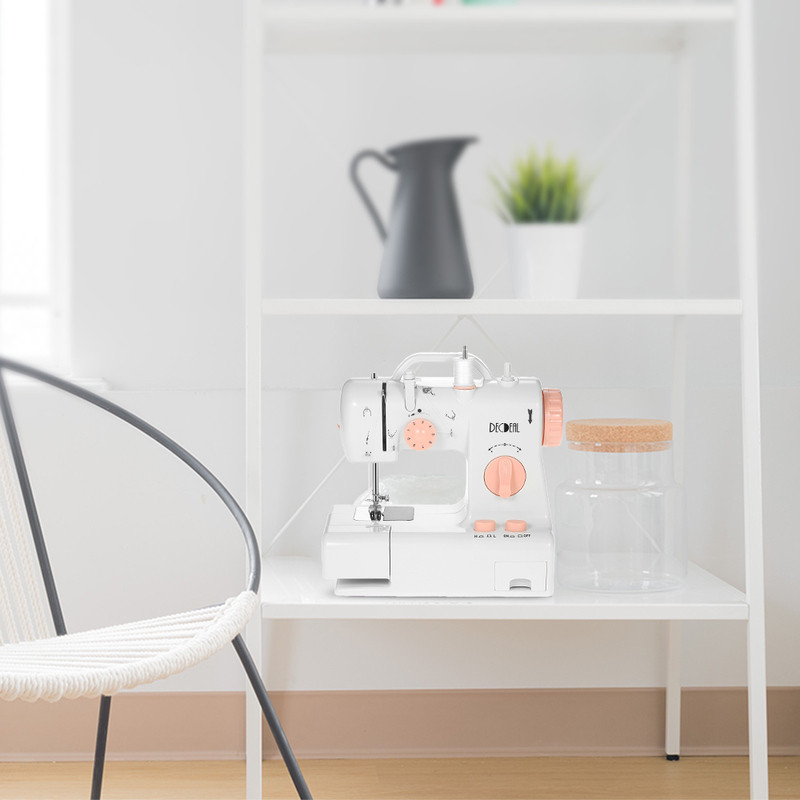 This household sewing machine is perfect for beginners & sewing enthusiasts. 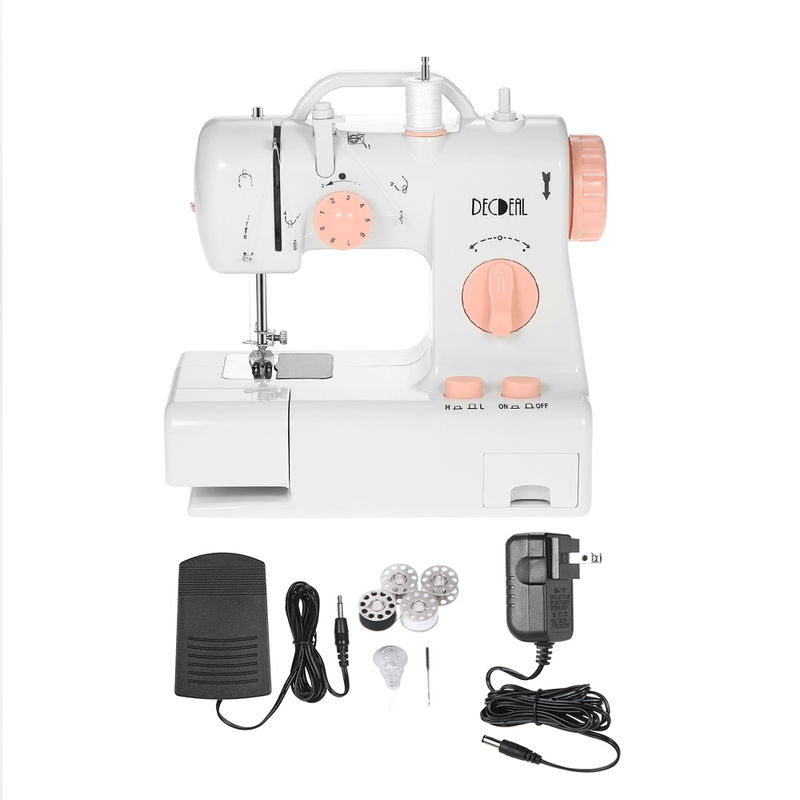 It has many features and functions: double speed, double thread, with foot pedal, LED sewing light, reverse sewing and much more. 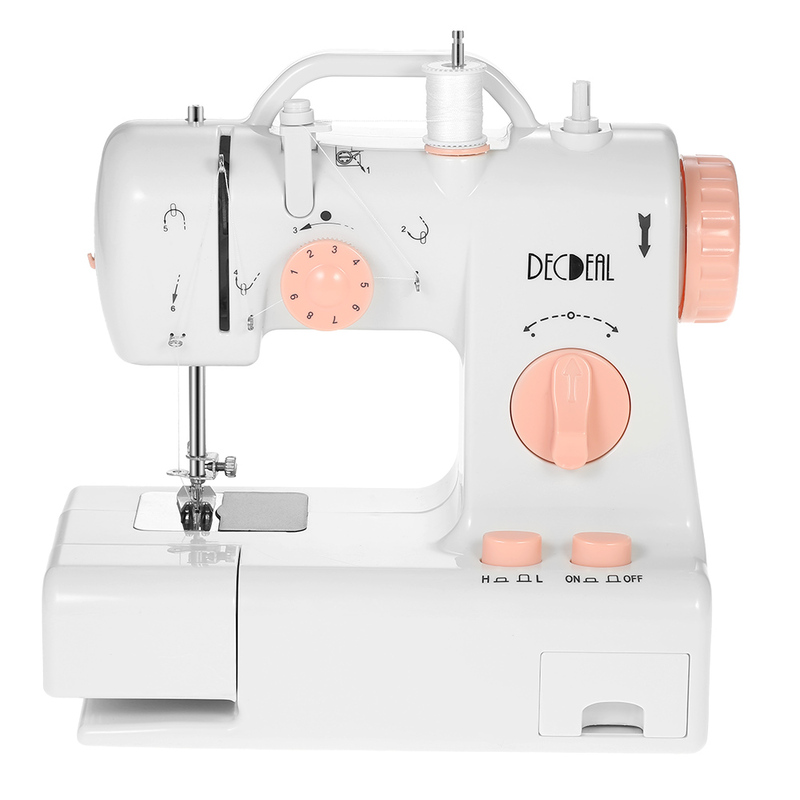 It's a good choice for many home sewing projects: crafting, quilting, home decor, etc. 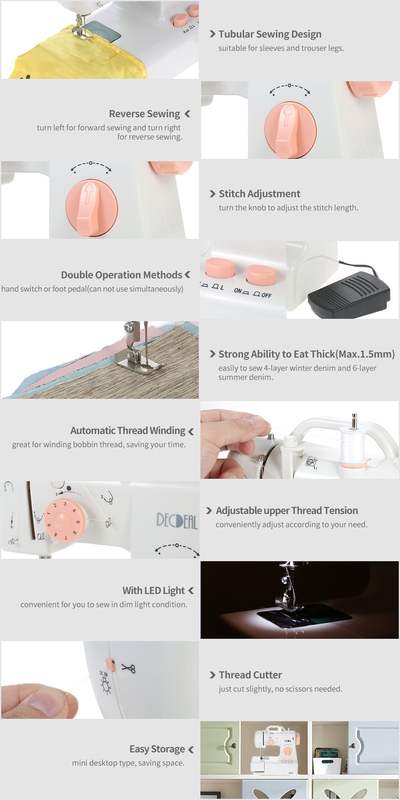 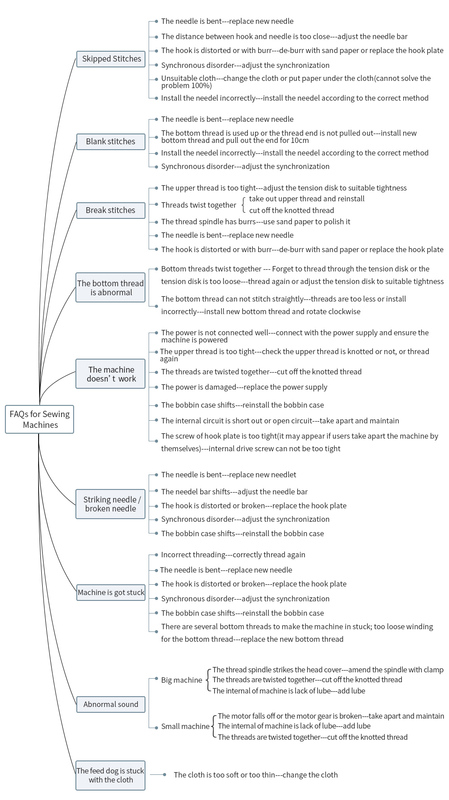 Double Thread & Double Speed: help you create neat and straight stitch. 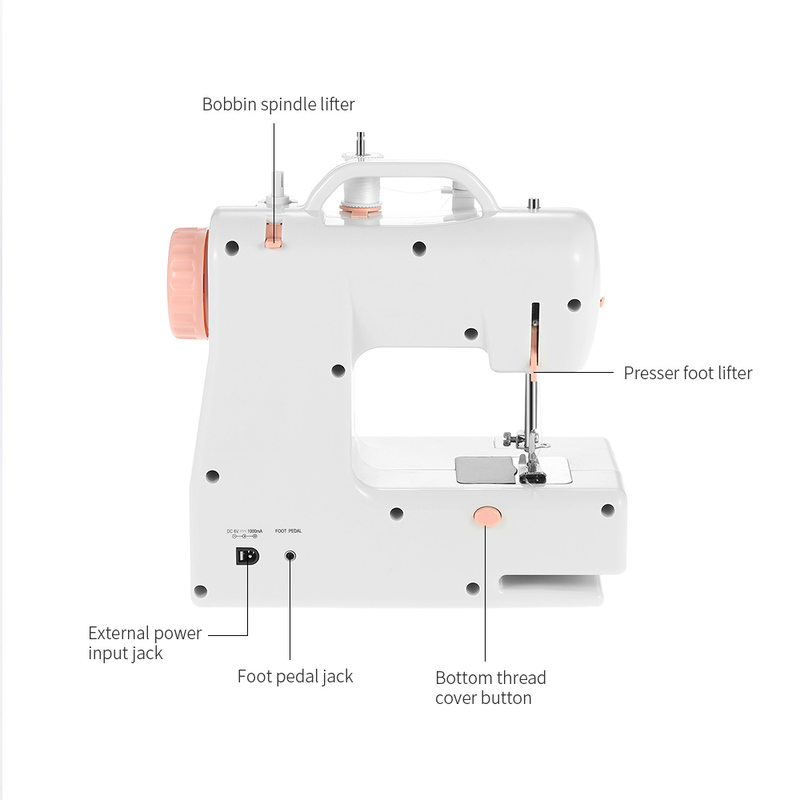 Tubular Sewing: perfect for sewing tubular items like sleeves and trouser legs. 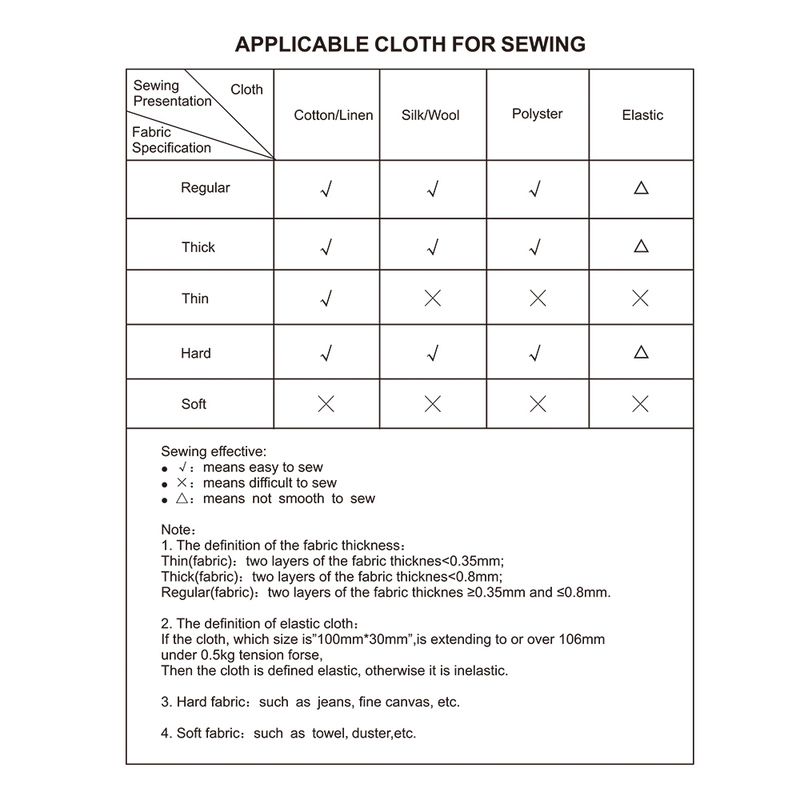 Strong Ability to Eat Thick(Max.1.5mm): easily to sew up to 4-layer winter denim and 6-layer summer denim. 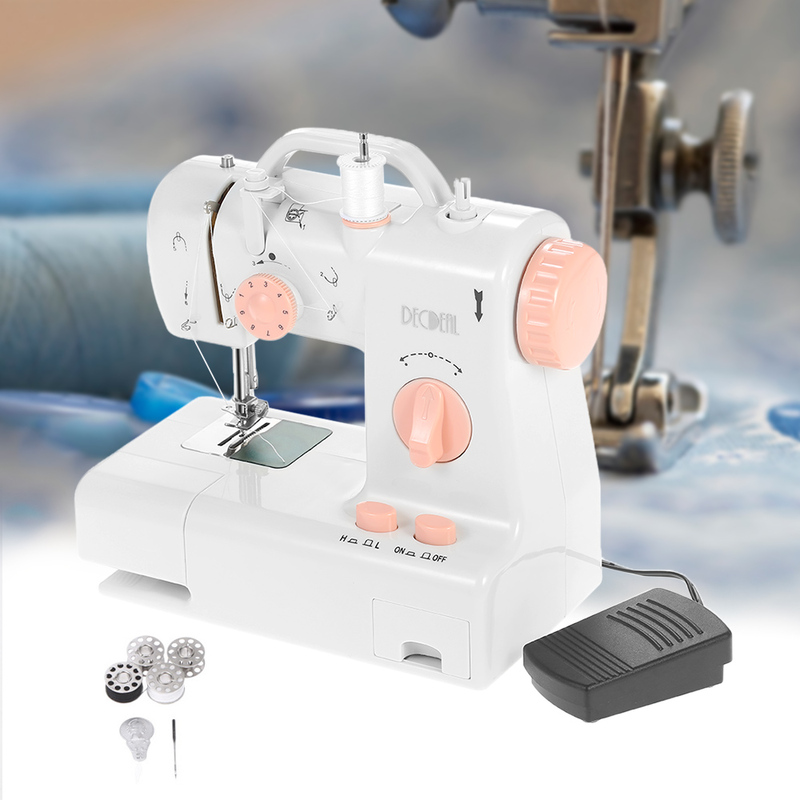 Stitch Adjustment: turn the adjusting knob to adjust the stitch length. 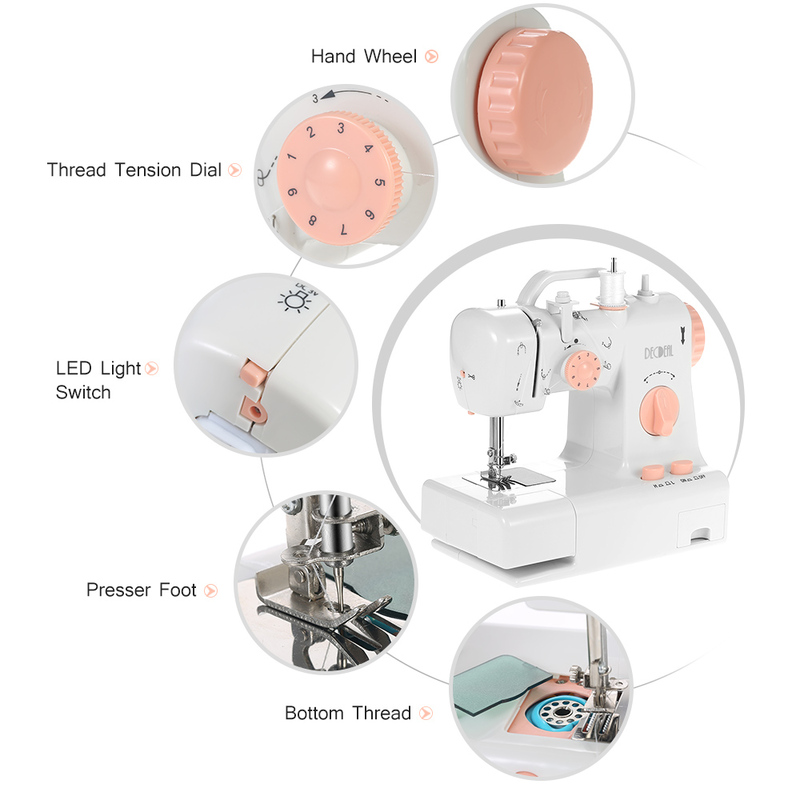 Thread Tension: conveniently adjust the upper thread tension through the dial. 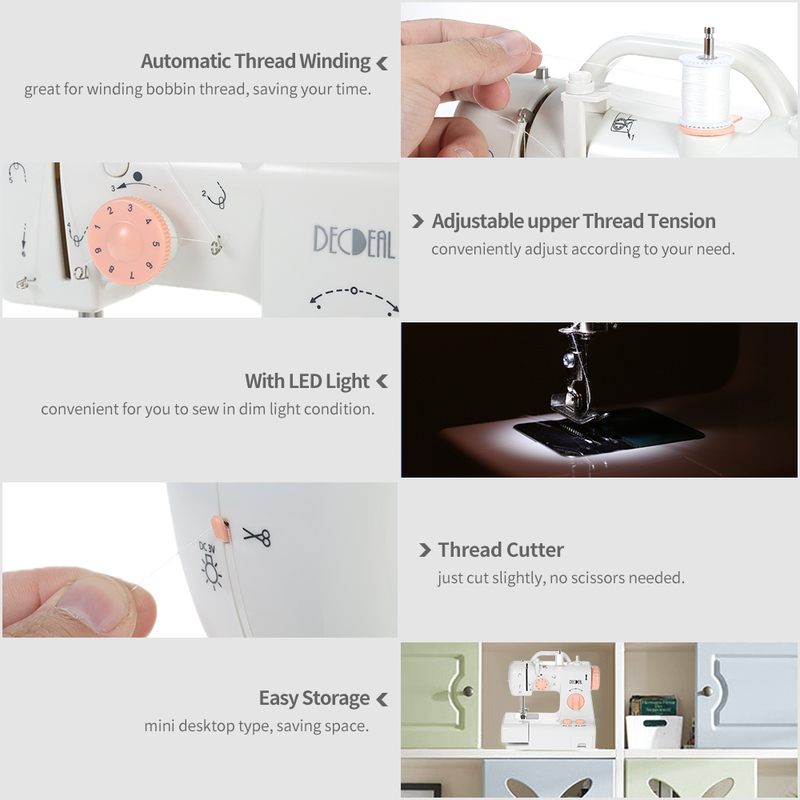 LED Sewing Light: easy to thread the needle, and you can see all the details. 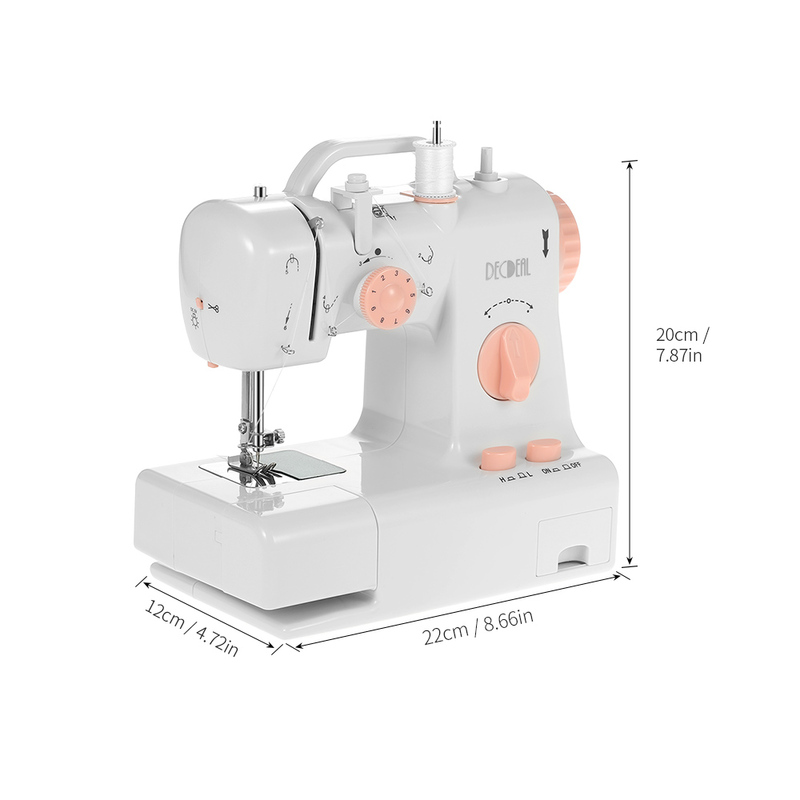 Dual Ways for Power Supply: 4 * AA batteries(not included) or AC/DC power adapter. 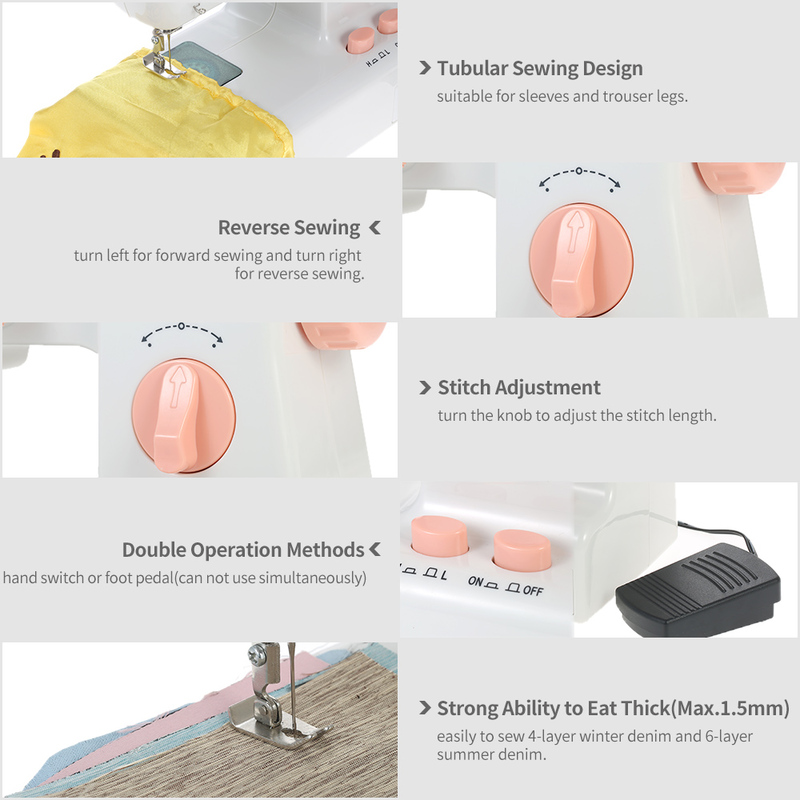 You can only choose a kind of power supply, they can NOT be used at the same time. 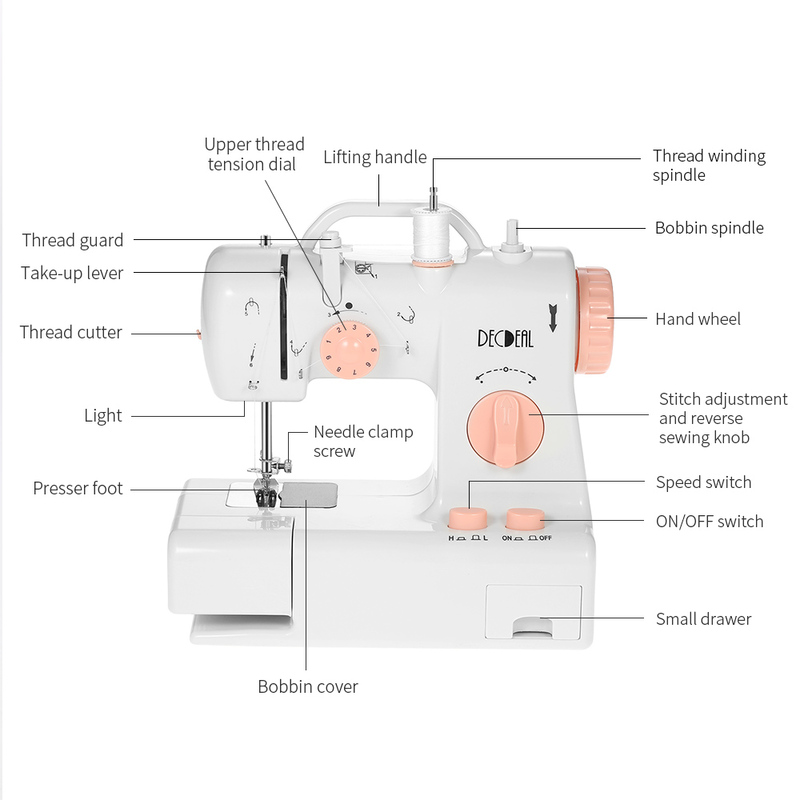 Otherwise, the machine won't run, or even be damaged!